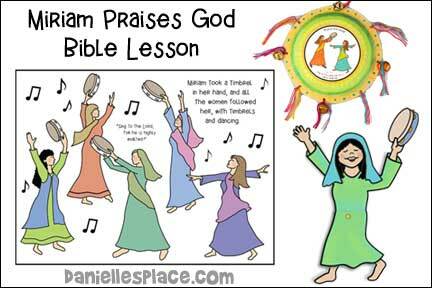 The following crafts and activities come from the Bible lesson "Miriam Praises God' available to members onThe Resource Room. 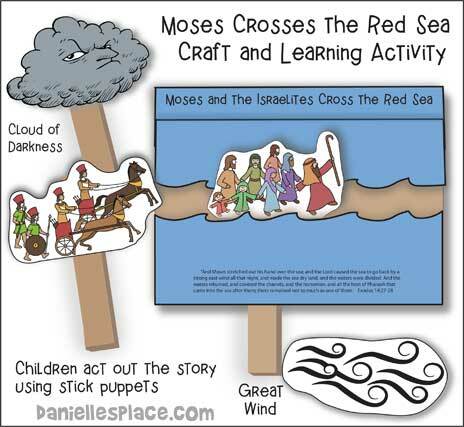 In this lesson children learn that Moses, Miriam and the Israelites praised God for saving them, and they should praise God for what he has done for them. 2. 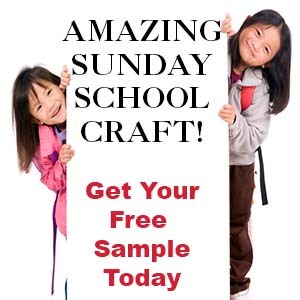 In class hand out the coloring sheets and have your children color them with colored pencils. As the work ask them questions about the picture. What are the women doing in the picture? Why do you think the women are dancing? 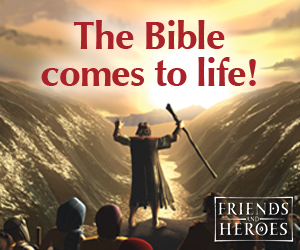 Who do you think is in the picture? 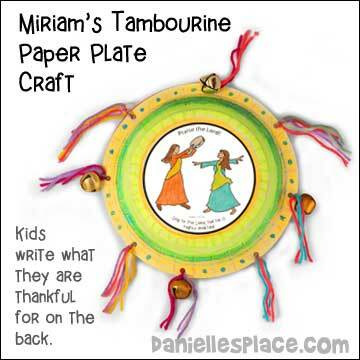 These tambourines take quite a while to finish. 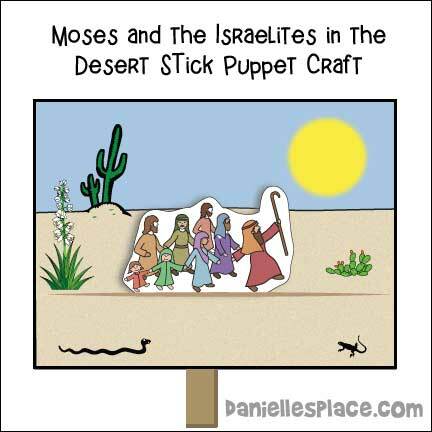 If you don’t have a lot of time, assemble them before class and just have the children color them. I recommend using highlighter markers. These markers are very bright and last a long time. The children love using them. 2. 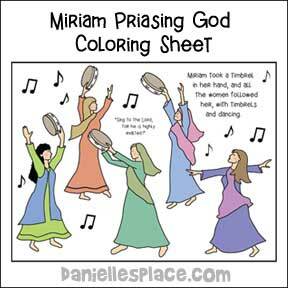 Have the children color the “Praise the Lord” pattern and glue it to the back of one of the paper plates. Then have them write things God has done for them on the “What God Has Done” circle and glue it to the back of the other paper plate. 3. Place a hand full of corn, rice, or dried beans on the paper plate and place another paper plate over the plate, front to front. Staple the plates together. Have the children color the edges of the paper plates. 4. When they are finished coloring, punch holes all the way around the edge of the shakers and show the children how to tie jingle bells with ribbon in the holes. 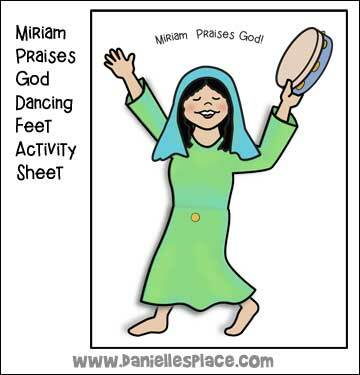 Children color the picture of Miriam and attach the leg patterns with brass fasteners so the her legs move back and forth to make her look like she is dancing.